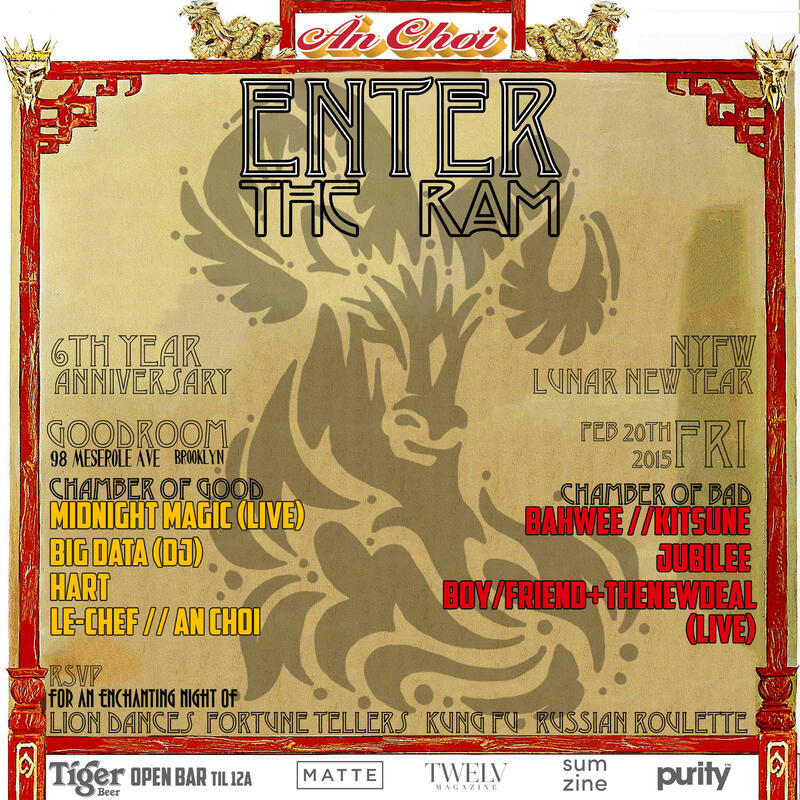 Enter The Ram Hosted by An Choi – Tonight! mention there will be FREE Tiger Beer until midnight. Tags: Free NYC, Lunar New Year, NYFW, Open Bar, party. Bookmark the permalink.